TACT Architecture is currently designing several low-rise infill sites throughout Toronto. 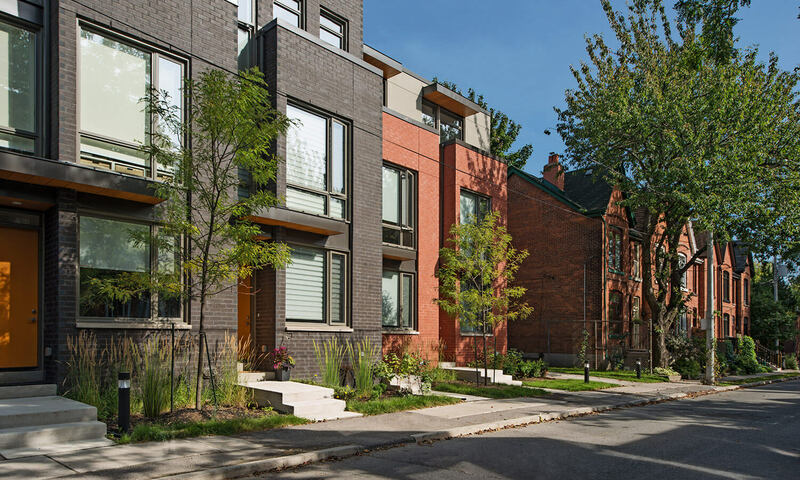 The first to be completed is located at 55 Howie Avenue in Toronto’s Leslieville neighbourhood. Designed for Urbancorp Developments Inc, 44 Freehold townhouse units were skillfully negotiated with local Residents, City Planners, and the area Councillor. Through the approvals process, a clear cost-conscious modern aesthetic was maintained and ultimately realized.